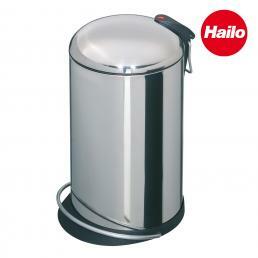 Mister Worker™ offers a wide range of Hailo waste bins, all with practical removable bucket and high quality steel, ideal for separate waste collection with an eye to design. 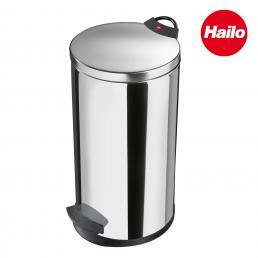 It often happens to buy a trash can without ever being completely satisfied by its design: as long as it is an object to keep hidden, no problem; but if the trash can in question should be put in the office, maybe in plain sight, the situation changes. 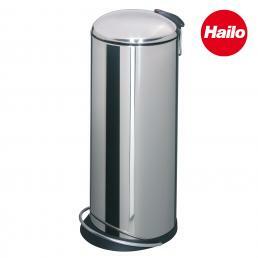 The Hailo waste bins were designed to be pleasing to the eye, as well as practical and resistant. 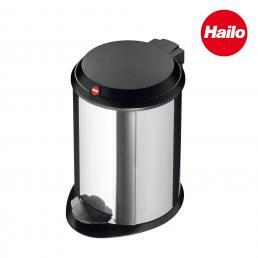 They are all made of high quality and corrosion resistant stainless steel, and are equipped with pedal and silent lid opening. 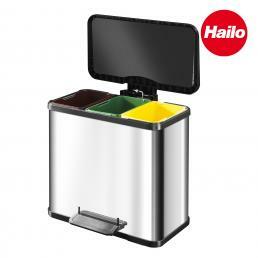 In addition to the classic model with a single removable basket, there are also Hailo waste bins specifically for separate collection, with two or three removable buckets inside. 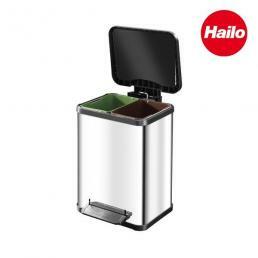 Hailo also produces recessed systems for separate waste collection, to be mounted directly in the chest of drawers or in the kitchen cabinet used for the garbage can. 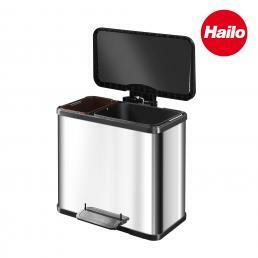 Reliability, resistance and design are perfectly combined in Hailo products, which have always been a guarantee of high quality. Mister Worker™ gives you the chance to try a selection of Hailo branded products at a special price: check periodically the Special Offers section to find out more!